manila fashion observer: Happy Halloween! I am amazed at how Halloween is seriously celebrated here in the US. As if to set the mood, Target started coming out with their fall/Halloween wares as early as late September. When you drop by the local grocery store these days you'll see how well-stocked the shelves are with Halloween-themed candy, it just makes you feel like wishing you were a kid again! All that for free, with just a simple knock on the door and a shout of "Trick or Treat!"! Then again, I can also imagine all the cavities those goodies may cause! Oops! Aroud this time especially, it's nothing to see parents and their kids dressed like fairies and ghouls at the Port Authority bus terminal in Manhattan, and on the streets, as they most likely make their way to a Halloween party! Then again, it really is fun to dress up. It's that time of year when you can go crazy and fulfill that desire to dress up like the character you wish to be, or the tramp that you really are deep down inside, with the excuse that "It's Halloween!" Just check out these fun and interesting costumes that Target came up with! You'll realize there's more to the usual fairies and ghouls out there! How about dressing up as a Swiss Miss as you hand out little packs of Toblerone to the neighborhood kids? 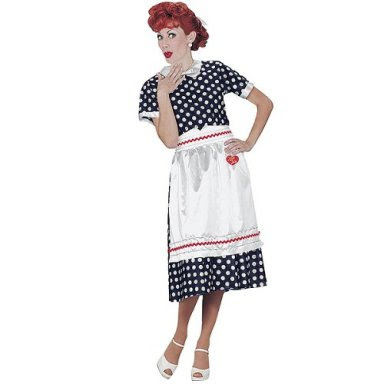 Or maybe come as Lucy, and surprise your "Ricky Ricardo" with that shock of red hair! 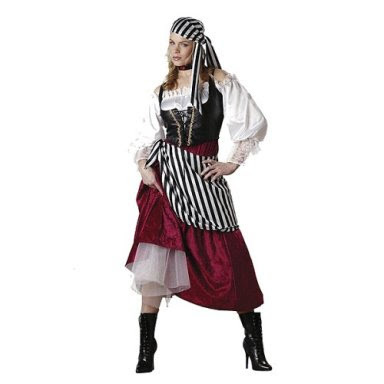 You can also come clean and admit you've always wanted to be a pirate's ravaged wench, just like in those trashy romance novels you absolutely cannot resist! Teehee! Who can't resist a good pair of shoes? 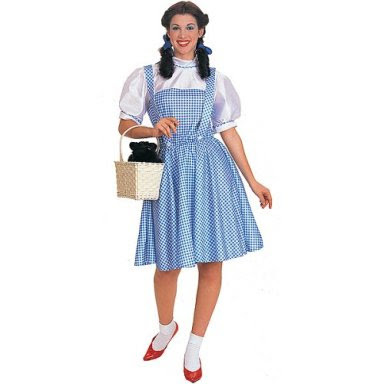 Dorothy sure enjoyed those ruby red slippers! You can too! You can always bring a stuffed "Toto" anyway! 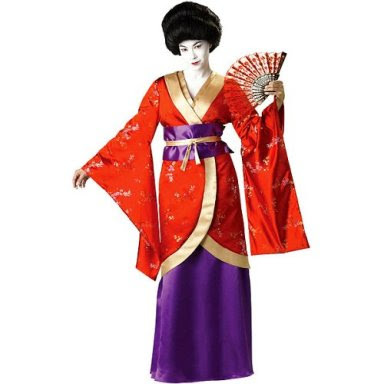 You can also choose to add to your personal memoirs, that time in 2007 when you dressed up as a geisha!